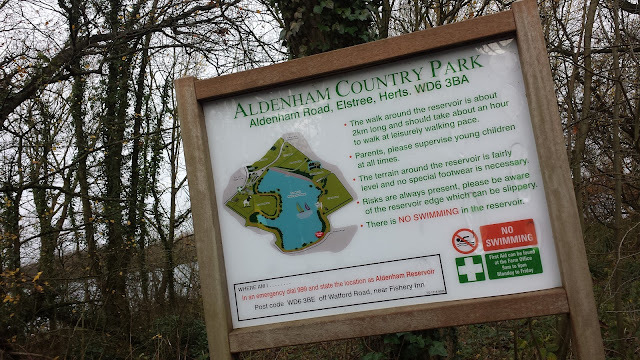 Aldenham Country Park is the venue for Aldenham parkrun. It covers 160 of land and provides the local community with recreation and educational opportunities. The land that forms the Country Park was once part of medieval Aldenham Common on the last piece of the common to be enclosed under the 1801 Enclosure Act. Before that, the land had been part of the Aldenham Estate, of which Aldenham House is still standing but is in private use as a school. This is actually a fair way to the north-west of the country park, as is the village of Aldenham. 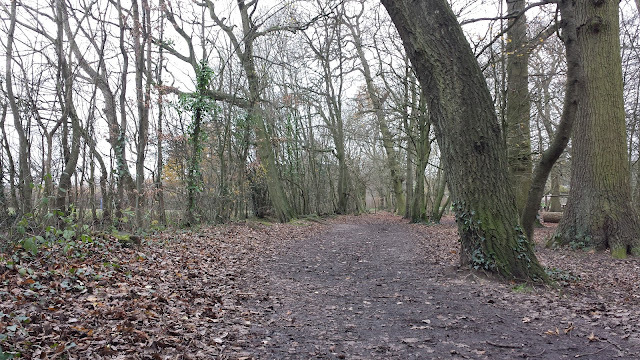 The country park is actually closer to the village of Elstree which is of course very well known for its film and TV studios. Adjacent to the country park is the Elstree Aerodrome. 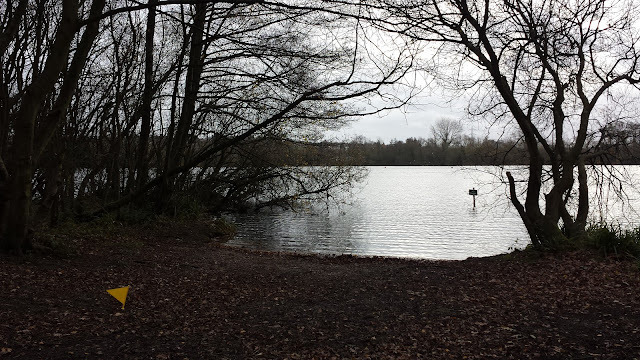 in 1793, 68 acres of the Aldenham Estate were sold to the Grand Junction Canal Company and a reservoir (Aldenham Reservoir) was hand dug by French prisoners of war in order to maintain water levels in Grand Union Canal. The dam was apparently badly constructed and problems of cracking and subsidence still exist to this day. 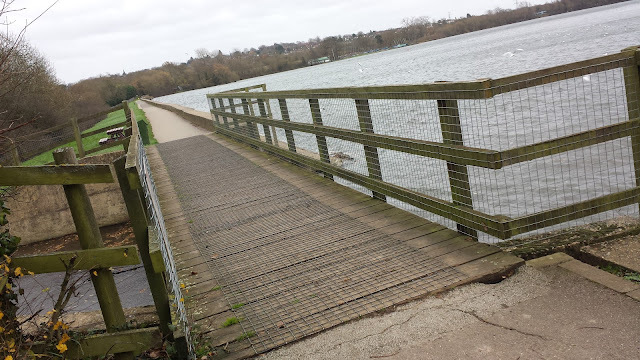 The reservoir is now used for recreation and wildlife. 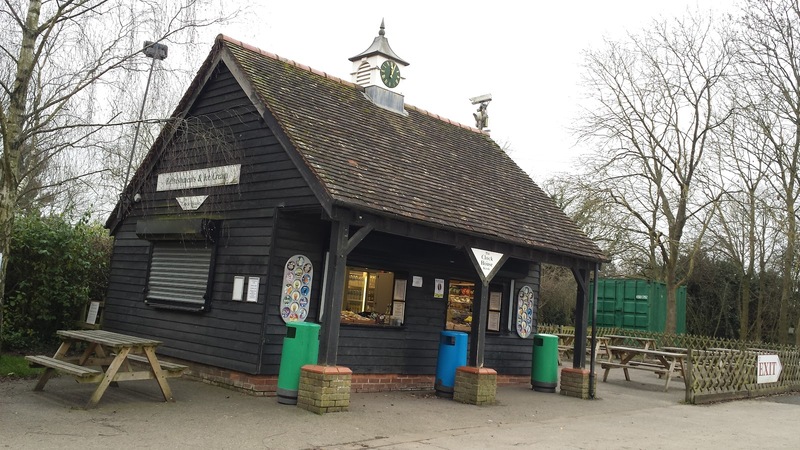 The site was originally transformed into a country park by Hertfordshire County Council back in 1972, which is when the car park, the Clock House refreshments kiosk, and toilets were all constructed. In more recent times, the park was almost forced to close due to a lack of funding. In 2012 the management of the park was taken over by Aldenham Renaissance Ltd. and this means that the future of the park is, for now, secure. 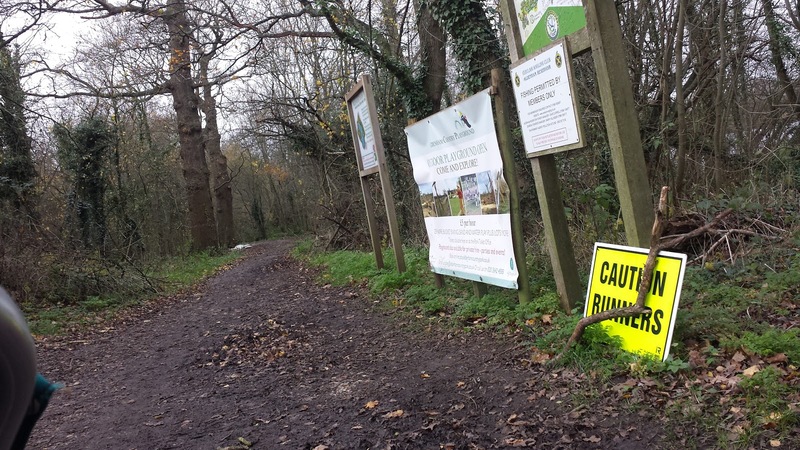 When arriving at the country park, the first thing to do will to be to park your car. 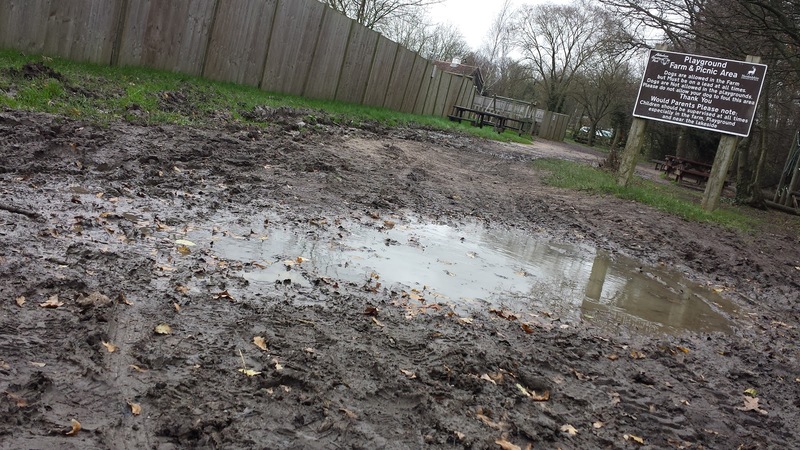 To enter the car park you must approach the venue from Aldenham Road. When we visited the car parking fee was a flat £4.50 per visit regardless of time spent in the park and was payable at the exit (regulars can buy a yearly parking pass for £89 which works out at £1.71 per visit based on 52 events per year). However, since our visit the arrangement has changed and parkrunners can now park for £2 by presenting their barcode at the farm office where staff will issue a token which reduces the fee payable upon exit. Please cross-check this info with the official course page before visiting just in case anything changes. If you are fairly local, you may wish to ride your bike to the venue; if you do there are four bicycle racks positioned fairly close to the start-finish area. The closest train station is 'Elstree and Borehamwood' which is around 3km away from the venue. 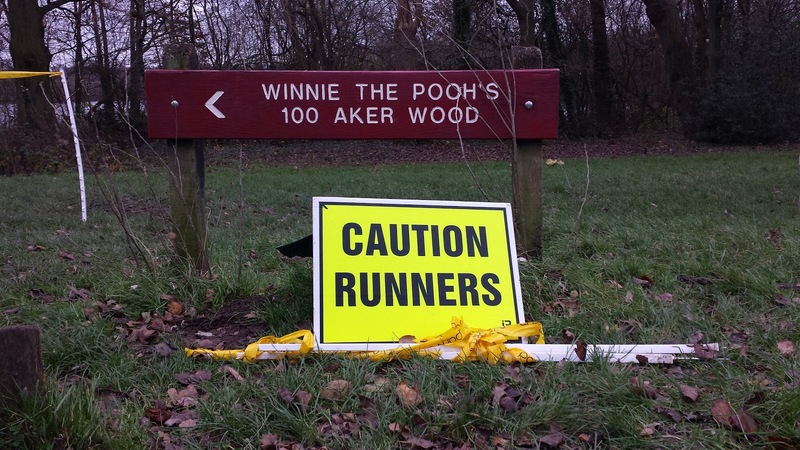 You'll find the toilets conveniently located adjacent to the car park just opposite the parkrun start/finish area. Although we arrived well in advance of the start time, as the clock struck 9am it became apparent that my wife and daughter had not returned from the toilets in time for the start. 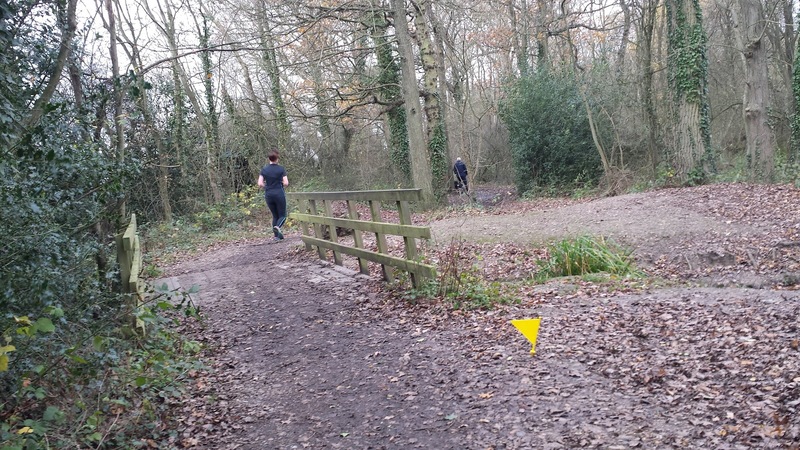 As I was going to be buggy running, I found myself all kitted out and ready to go, but was just standing there with an empty buggy as I watched all of the runners disappear into the distance! They eventually appeared and we got started a few minutes after the rest of the crowd. 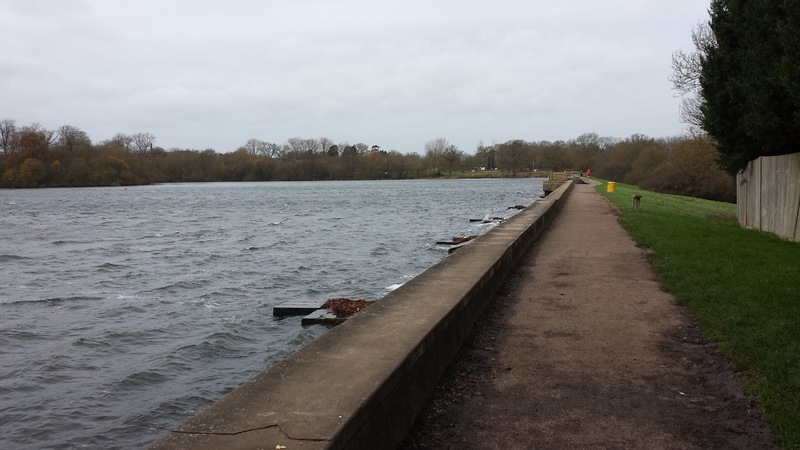 The run itself consists of two, flat, clockwise laps of the reservoir. It's worth noting here that the two laps are not identical but at the time of my visit this was not covered on the map or in the description on the official course page. If you'd like to view the actual course then please take a look at my GPS data on Strava. Rather than the standard directional arrows, you will instead see some small yellow flag-style markers in various spots around the course to mark the way (see photos). Starting on the strip of grass between the car park and the reservoir, the runners head off in a north-easterly direction on grass before reaching the first marshal, turning right and immediately crossing a bridge which feeds the runners onto the arrow-straight tarmac path that runs along the length of the dam. 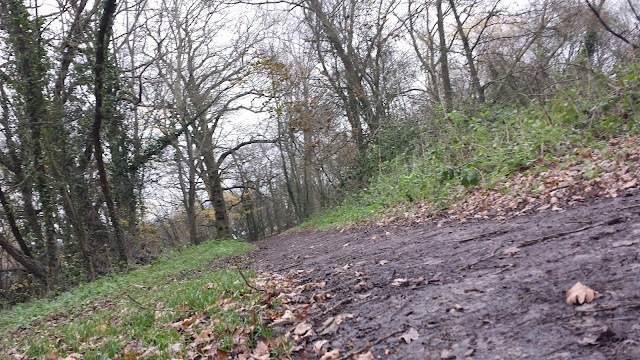 At the end of the dam, the terrain underfoot changes and becomes a mixture of dirt and stony woodland paths which stay this way for the remainder of the lap. This section sees the runners pass Aldenham Sailing Club which was probably my least favourite part of the course; underfoot was very stony and the sailing club's building somehow took away part of the magic of running in a country park. 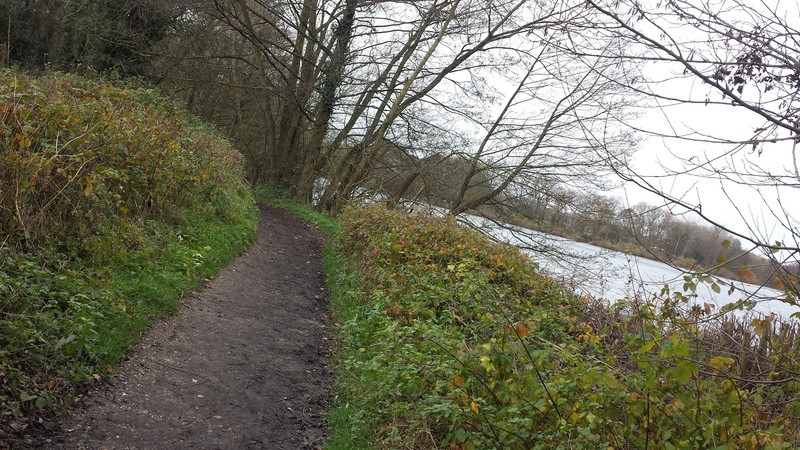 The path twists and turns around the perimeter of the lake until you reach a point where the path splits - here is where you'll find the second marshal; on the first lap the marshal will send you to your right, while on lap two they will send you to your left. 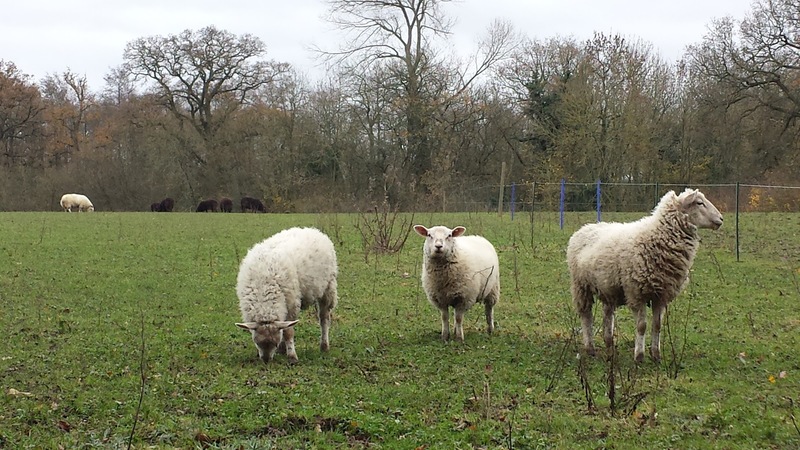 You may also see some wildlife on your way around the course - we definitely saw some sheep and, I think, goats. On lap one the path continues to twist and turn around the perimeter of the lake and eventually emerges back at the start-finish area. On lap two, the section after the second marshal is more of a direct route back to the start-finish which makes it roughly work out to a 2.6km first lap and a 2.4km second lap. As previously mentioned, I ran this venue with my daughter in her running buggy and she found the ride bumpy but very enjoyable. 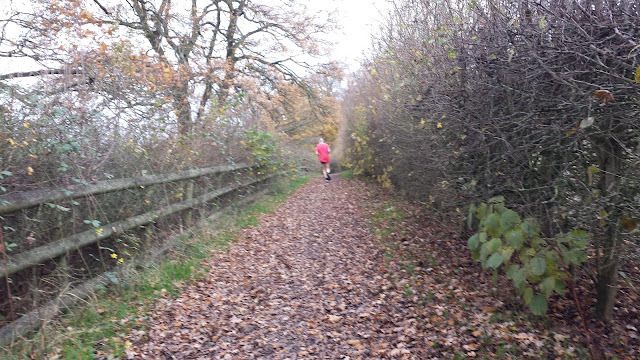 She was especially excited by the muddy patches and the twisty parts of the course. I'd definitely go for trail shoes on this course in the winter months, although some people may prefer road shoes when it's bone dry during the summer. Post-run there is a refreshments kiosk that serves various snacks and beverages. Although the kiosk does have some seating, none of it is inside so I'd imagine that this doesn't help to encourage runners and volunteers to hang around afterwards during the colder months, which is a shame. 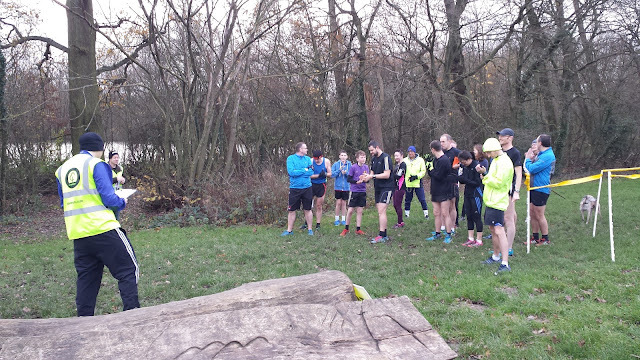 At the time of writing this is still a fairly young parkrun venue, and seems to attract a fairly modest number of runners - twenty-three on the day we visited (average 36.5). This may be due, in part, to the location. But I get a sense that the expensive car parking fees could be keeping people away - If it wasn't for my desire to write about the venue for the blog and to tick it off of my 'parkruns inside-the-M25' list, it would have been enough to discourage me from visiting (see above, this situation has improved since my visit). The other current car parking options are to either park on a residential side street in Elstree and walk/jog for 1km to reach the start-finish area or to park in the car park of The Fishery pub which is located approximately half-way around the lap on Watford Road (it's worth noting that I have no idea how the pub owners feel about their car park being used by non-customers). 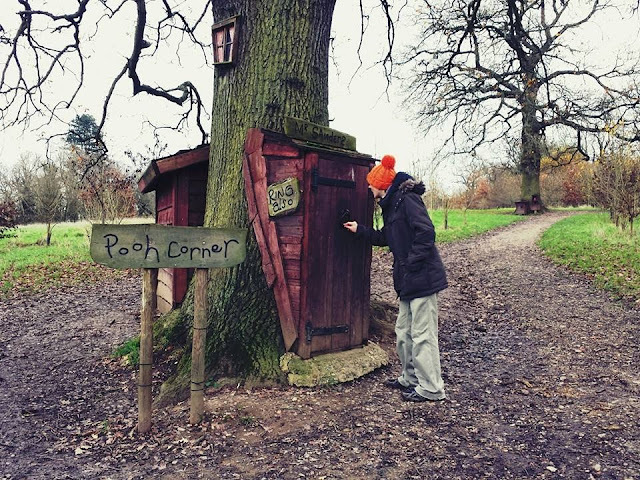 If you do visit, it is worth hanging around after the run to explore the park. 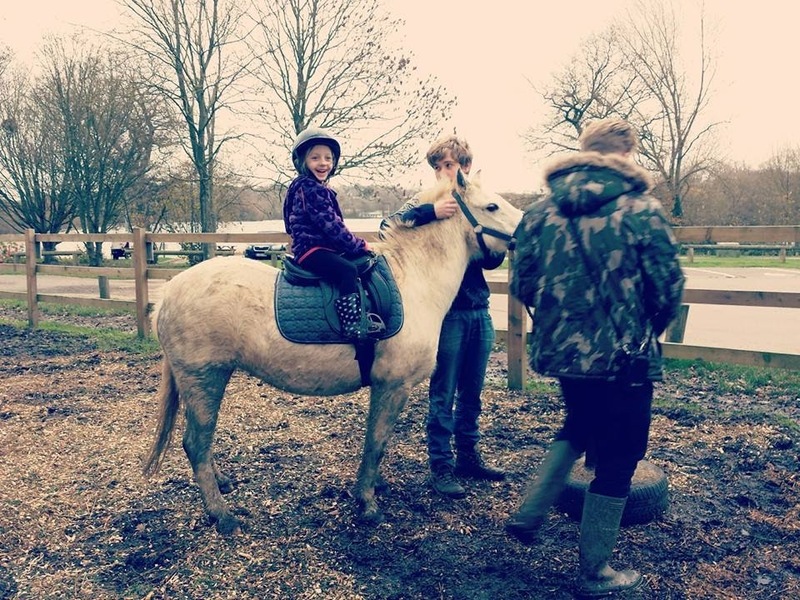 If you have children then there are a number of activities for them to enjoy. The 100 Aker Wood trail walk features the houses etc of characters from the Winnie the Pooh stories which can be accessed for free. For a fee there is also a children's educational farm with a petting area, woodlands climbing adventure playgrounds, pony rides and various other things throughout the year. Overall, we had a pretty decent morning at Aldenham Country Park - Thank you to all of the volunteers that made the event possible.